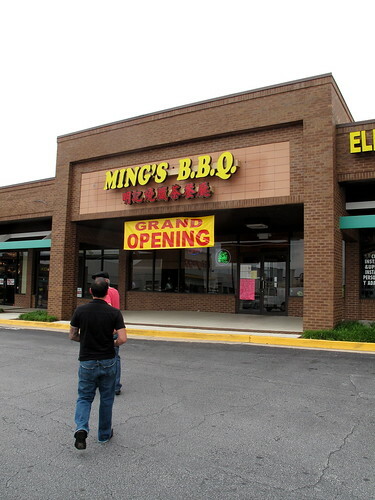 Ming’s is one of those restaurant that most Chinese food lovers could not live without. It’s tiny, crowded and the massive menu can overwhelm. 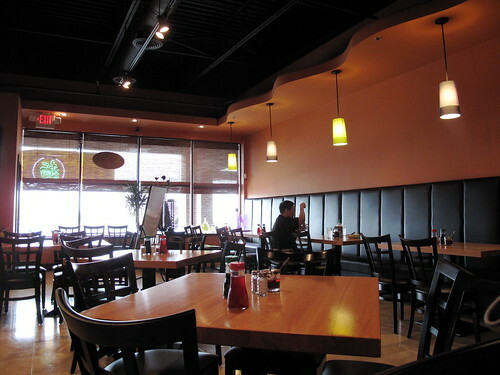 But it is one of the crown culinary jewels along the Buford Highway corridor. And now they’ve opened a new location in Duluth, which, to me, is as good as an eating destination as Doraville–especially if you are a Korean food fool like myself. The new Ming’s is swankier than the original. The owner’s son told us they were trying to recreate the feel of Tea houses in Hong Kong, places people go in the afternoon for milk tea and snacks. 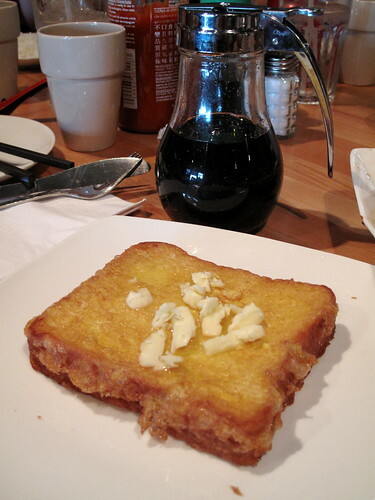 So, the new Ming’s has certain breakfast items like this eggy Hong Kong style French toast with butter. 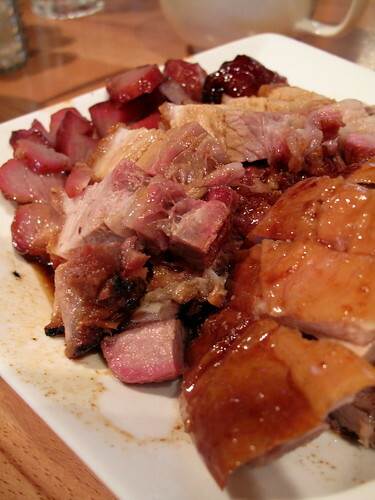 Meat sampler of barbecue pork, crispy roast pork and roast duck: Every single item was gorgeous. But the standout was the crispy roast pork. Oh-my-god good. 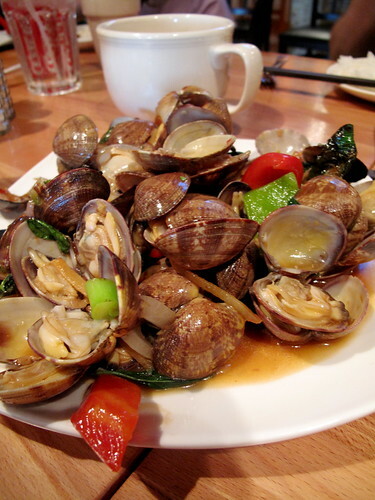 Clams with bay leaf: They were fresh, tasty and gone in a flash. I like to add a dash of red vinegar and chili to this dishes for some bite. 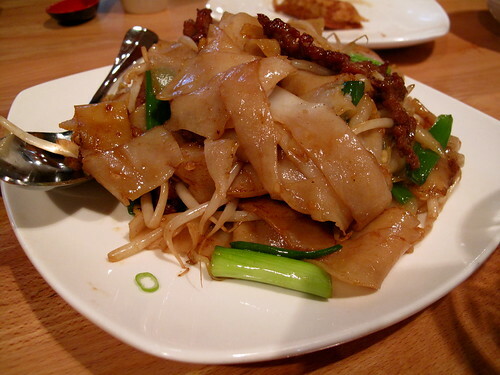 Beef chow fun: This could have used a touch more sauce in my opinion. I had a delicious version at the original location the week prior when dining with Chloe from Chowdown Atlanta (who also reviewed the new location) that was a perfect representation of everything chow fun can and should be. 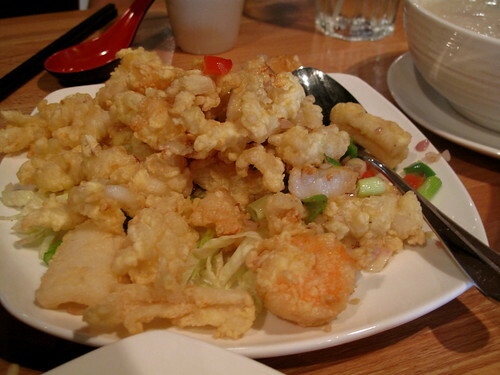 Fried seafood (shrimp, scallops and squid): All of the seafood was very fresh and tasty. The batter could have used a touch more salt, but the chili sauce (located on every table) boosted the flavors considerably. 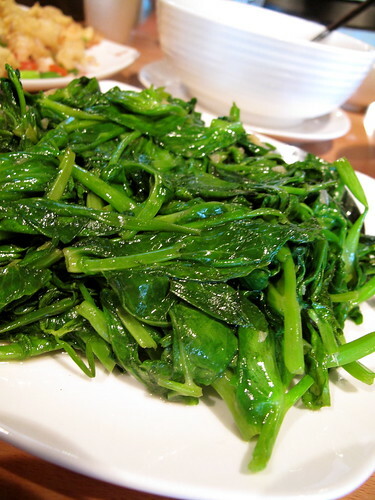 Snow pea leaves sauteed in garlic: This was probably the best version I’ve had in ages. Slightly sweet, garlicky and a nice amount of crunch without those narsty cornstarch based sauces so many restaurants pile on vegetable dishes. 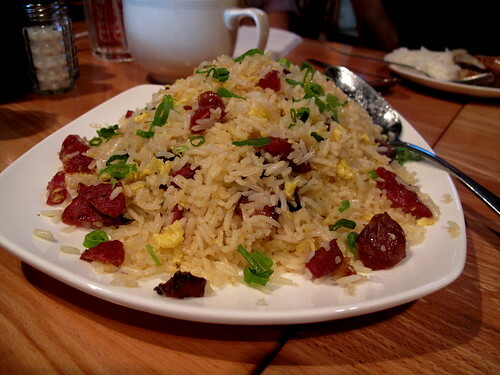 Fried rice with Chinese sausage, roast pork and egg: My Cantonese friend, Kit, likes to make fun of me for eating fried rice. Well, this is one “gringo dish” I will gladly consume even if it affects my credibility. Good food is good food. I would order it again and again. Thousand year egg (pickled egg) and pork rice congee: My friends are probably sick of hearing me say this, but I am just not wowed by any of the congee I’ve had in Atlanta. 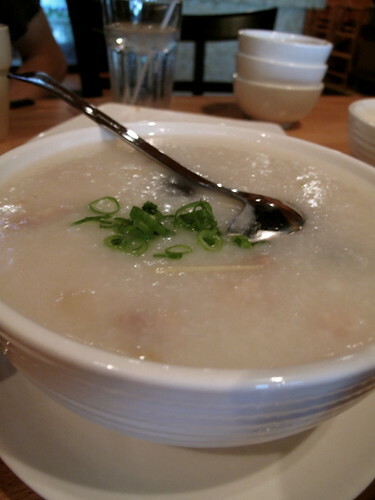 There is this spot call Ton Kiang in San Francisco that has spoiled me for life; its congee is the best. My prejudices didn’t stop everyone from scarfing this done. Moon’s 10-year old daughter even had 3 bowls. He’s trained her well. 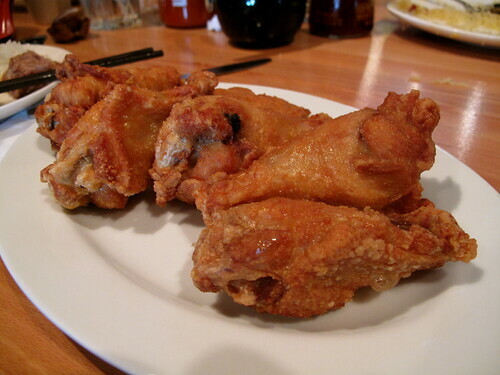 Chicken wings: We saw an order of these crispy suckers go by to another table and just had to get them. No sauce or anything, but they were super juicy and crispy. I added Sriracha to mine. The oil could have been a touch fresher, but no matter. We killed the plate. Verdict: An awesome addition to Duluth. While many of us ITP folk will most likely continue going to the original, this is a great option for people who may be put off by the hole-in-the-wall feel of the original or just happen to live closer to Duluth.